By utilizing its state-of-the-art, Danieli manufactured, FQM rolling mill, JESCO produces seamless casing pipe from 4 1/2" to 13 3/8" (as well as intermediate sizes), exceeding API standards. 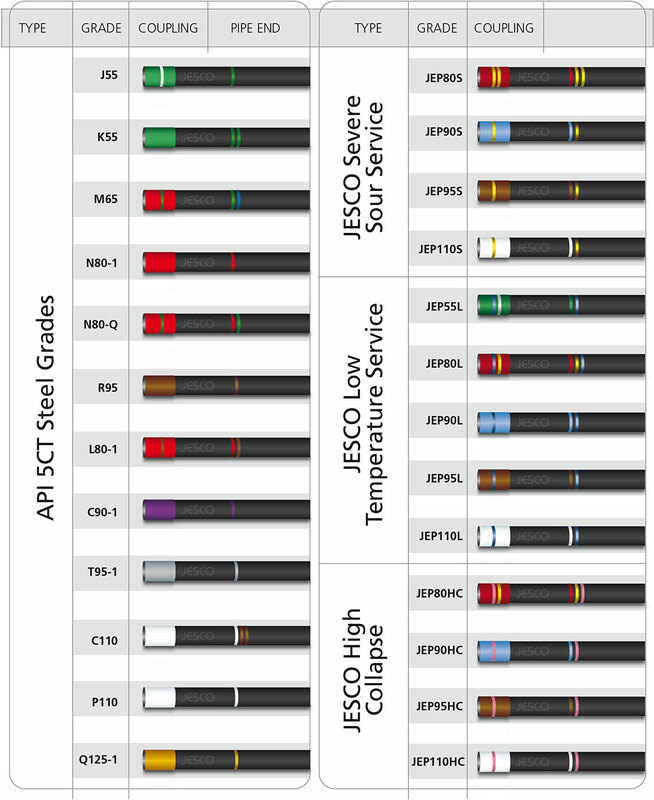 JESCO produces connections, as per API 5B standard and has developed its own interchangeable premium connection called JPC2. 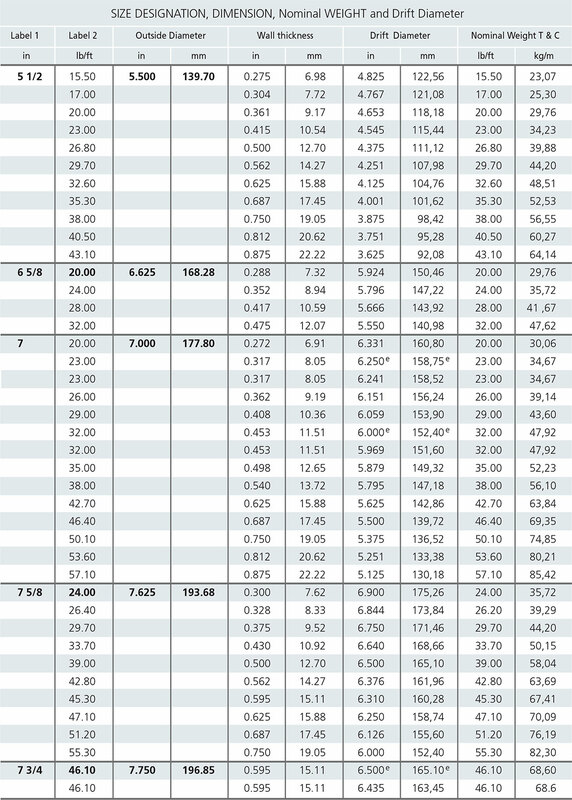 Finishing line capacities are 400,000 MT per annum. Through latest heat treatment technology, JESCO is able to achieve API and tailored steel grades. 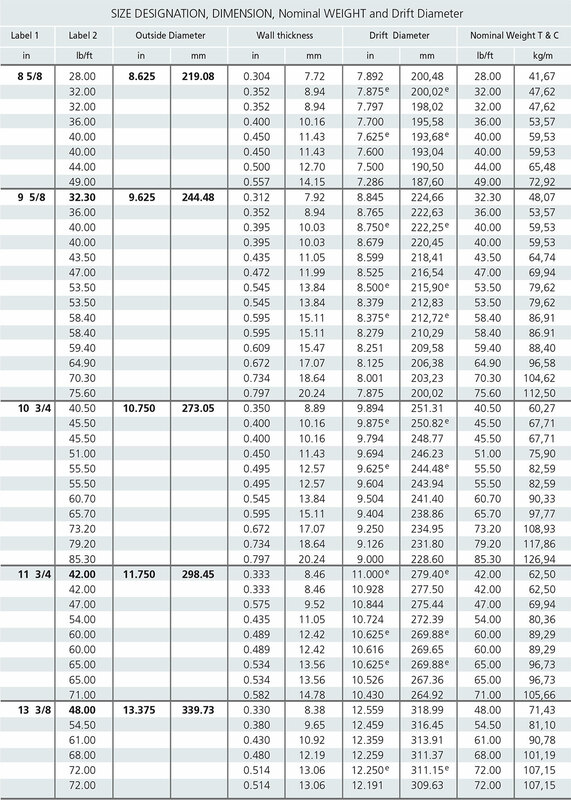 JESCO's proprietary steel grades cover critical features such as sour service, high collapse, high compression or a combination of them all with a capacity of (200,000 MT per annum). Critical operations are actively monitored through specially designed and produced devices, which ensure an accurate and continuous process control. Our Level 3 automation system integrates all control and traceability data for our products all the way through to our customer's receipt at the final destination. Every oil and gas field has its own specific features. JESCO’s research and development department develops tailored solutions for its customers, in order to overcome such constraints and to maximize the performance and behavior of its seamless pipes inside the well. JESCO’s laboratories have high collapse and sour service testing equipments. All proprietary steel grades are certified internally. JESCO continually aims to improve and develop new steel grades in order to overcome a higher level of sophisticated demands by our customers. 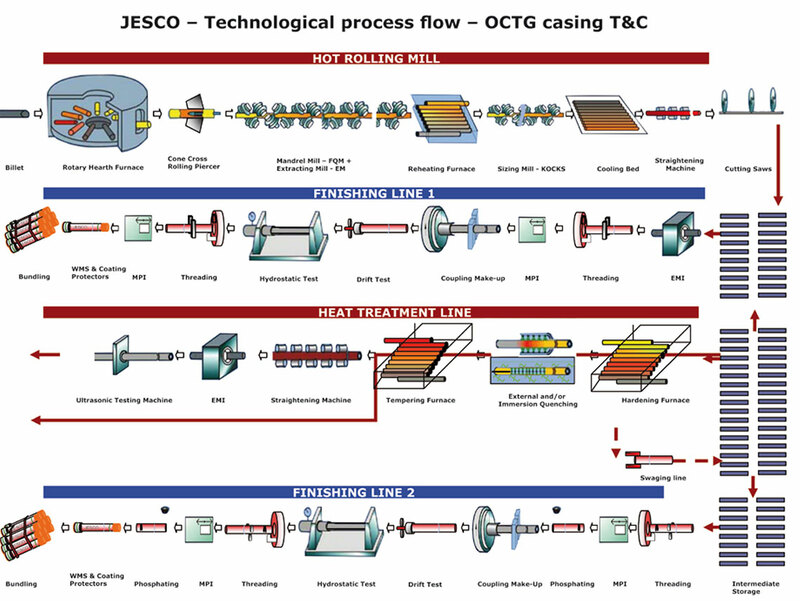 JESCO’s threaded and coupled (T&C) manufacturing program includes short thread cut (SC), long thread cut (LC) and buttress thread cut (BC) connections in accordance with API 5CT & API 5B, along with JESCO’s self branded proprietary connections for use in more demanding environments. Technical support for string design is available from JESCO’s research and development team. Through a dedicated premium supply chain service, JESCO can supply all tubular needs for field operations, including pup-joints, interconnecting cross-overs and loose couplings. JESCO also provides a dedicated repair network for its main regional markets. JESCO offers pipe management solutions for long term customers as part of a supply agreement for a premium supply chain service. JESCO’s proprietary steel grade color identification system is user friendly allowing our products to be easily identified. Special clearance couplings will be painted with a grey band adjacent to the color identification band on the coupling.